Whoa…Summer has been off to a crazy start! 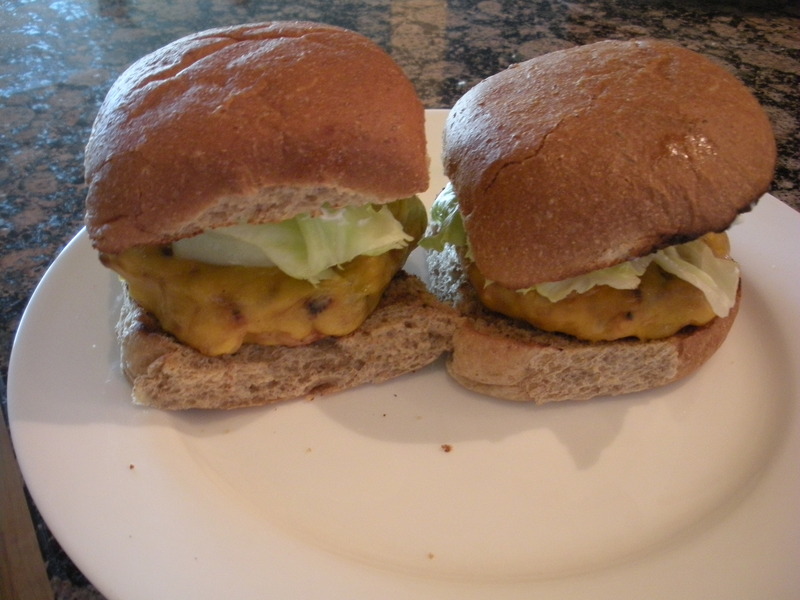 I have not had much time to cook/bake but I managed these turkey burgers and really liked the flavor and need to write it down before I forget. Traditionally a burger is of course served on a bun but because I made pasta salad to go with the burger, I opted out of the starchy bun. There was so much flavor in the meat that I didn’t miss the bun, cheese or other heavy condiments at all. Just a bit of ketchup was all I needed saving me on a few calories. In a large bowl whisk together the Worcestershire, ketchup, soy sauce, garlic, chili powder, cumin and hot sauce. Reserve half of the sauce to brush on the burgers while grilling. Add the ground turkey, onion and bread crumbs to the large bowl with remaining sauce. Using your hands mix to combine all ingredients. refrigerate the meat for 5 minutes allowing the bread crumbs to absorb the moisture. This also give you time to clean up. At this point you could also wrap the meat and store over night if you’d like to make ahead. 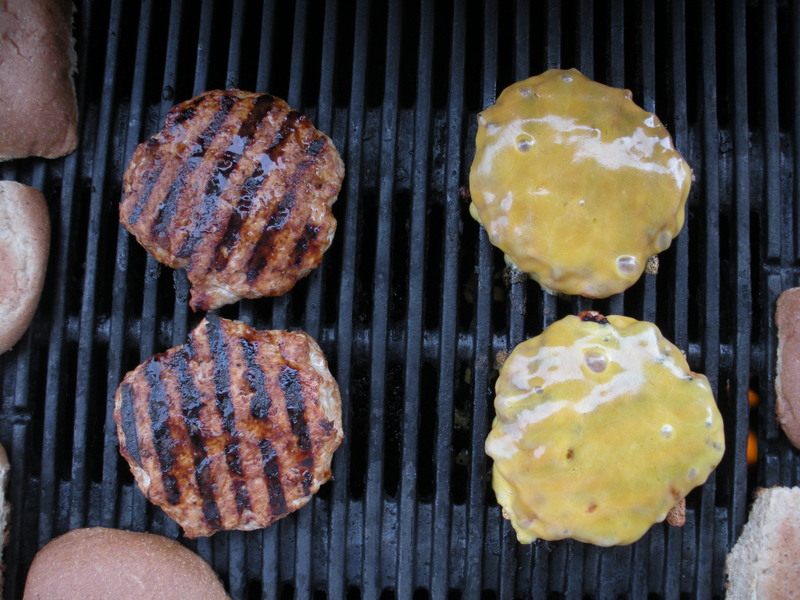 Form the meat into 4 round patties and place on the grill. Using a spoon drop a small amount of sauce on each burger. Be careful not to touch the raw meat and dip your spoon back in the ramekins so as not to cross contaminate the rest of the sauce. Smooth the sauce with the back of the spoon and then wash the spoon. Grill for 6 minutes and flip over. Brush the other side with sauce and grill for another 6 minutes or until cooked through. The last 2 minutes of cooking brown the buns and add cheese. I love good cole slaw. 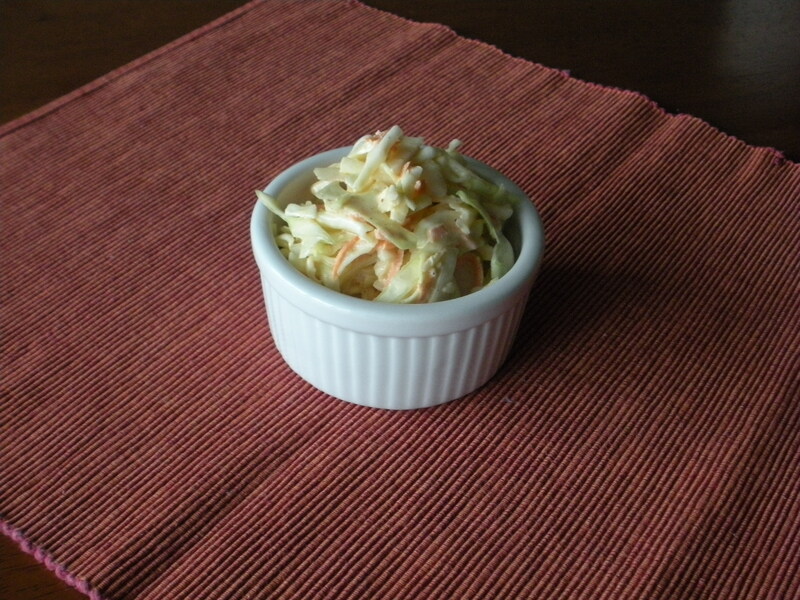 I remember going to dinner on Sundays at my Great Aunt Mary’s and she would always make cole slaw. While March is living up to its “in like a lion” reputation, an impromptu dinner tonight for which the host made ribs, proved to be a welcome glimpse of summer on this miserable spring evening. I brought this cole slaw to serve with the ribs. I thought this recipe would be not only perfect for a summer bbq but also appropriate to serve with a corned beef sandwich on this fast approaching St. Patrick’s Day!!!! In a small bowl mix together the sugar, vinegar, mayo, sour cream, seasoning, onion. add the dressing and mix to combine. Adjust the seasoning as necessary. This will vary depending on the size of the head of cabbage. Make at least 1 hour before serving. Allow the salad to hang out in the fridge a little while before serving. While I plan on drinking my weight in champagne this Friday, I thought this would be a nice drink to serve for kids as well as any guests preferring a non-alcoholic cocktail. This was one of the recipes my mom included in her recipe book. If serving to kids I recommend the white grape juice to avoid stains from an inevitable spill. In a large bowl or pitcher stir together the chilled orange and grape juices. Add ginger ale and gently stir. Next add the ice and fruit. Pour into glasses and garnish with a sprig of mint. 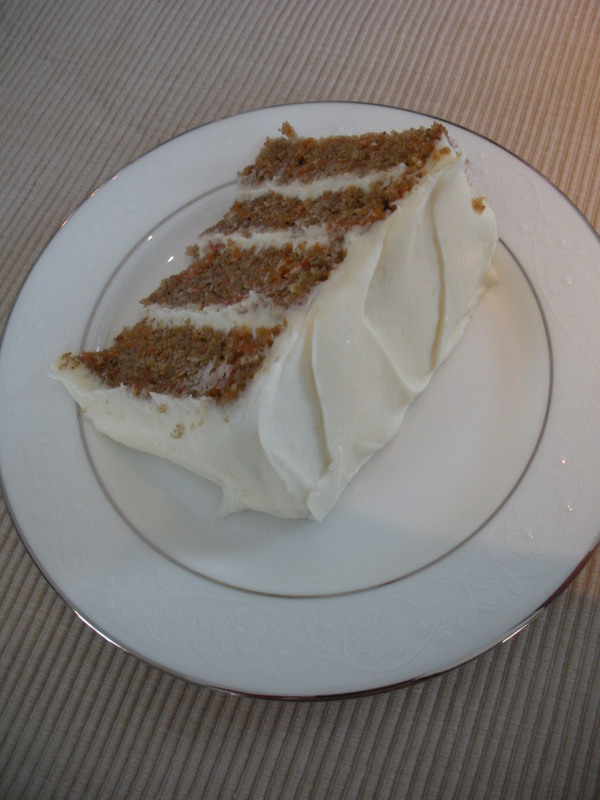 I consider the 6″ round cake the golden section of baking…(work with me here). 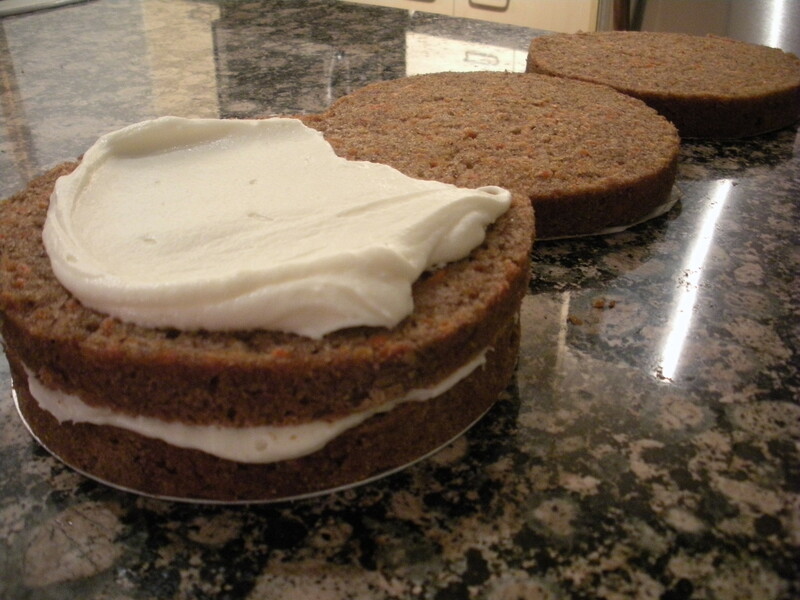 It is the perfect size, feeds a large group, easy to make, and visually appealing. I studied Architecture and can’t help but make comparisons between baking and design/construction. The most important ingredient of any get-together is the people. 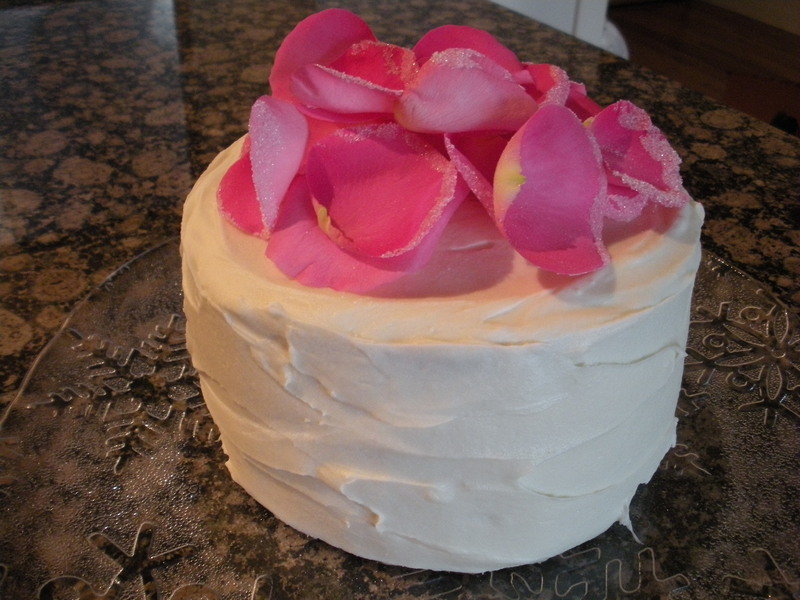 I think this cake did a nice job of capturing the spirit of a sophisticated group of ladies who gathered together on a cold Saturday to celebrate the arrival of a delicate new baby girl. Fold the dry ingredients into the wet and then add the carrots. Bake in one 10″ round pan or 2 – 6″ rounds (you’ll have extra, simply bake the rest in a loaf pan and freeze for your next brunch). Add extract and whip until fluffy. The possibilities are endless with this recipe and it is quick, easy, and inexpensive to make. Fill tart shells or a cake with it for dessert; serve it with scones at brunch; fold in some whipped cream to make a mousse and use as a dip for fruit or coconut crust. You can even replace the lemons with lime to make lime curd. Have fun! Place the eggs, juice, zest, sugar and salt into a sauce pan and cook over medium heat, stirring constantly. Pour the curd through a fine mesh sieve into a bowl. Immediately add the butter and stir until melted. Place plastic wrap directly on top of the curd and press out any air bubbles and chill.